This exhibition demonstrates how the artists who traveled to Old Lyme during the early twentieth-century appreciated and sought artistic and cultural experiences from around the world. As early as their student years, several colony members traveled to Europe, where they devoured the landscapes of France, Italy, Holland, and England, enrolled in rigorous academic programs, and obtained their first taste of art colony life. Charles H. Davis was born in rural Massachusetts and studied at the School of the Museum of Fine Arts in Boston before a patron funded his travel to France in 1880. He immersed himself in French life for nine years, exhibited successfully in Paris, and married a Frenchwoman. 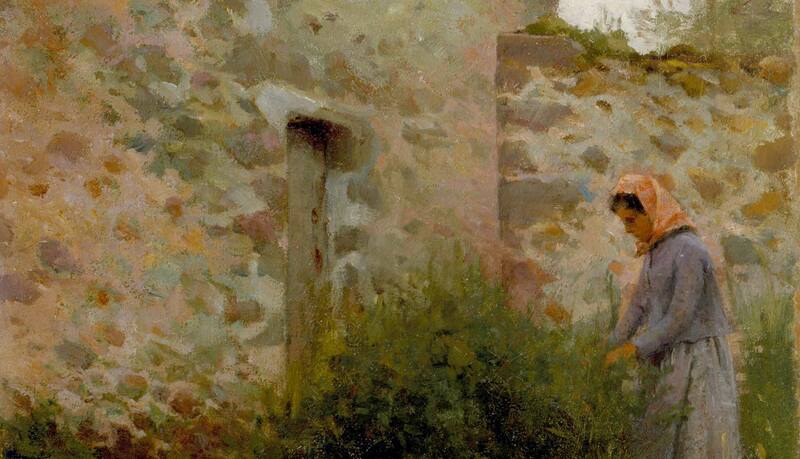 Scenes like A Quiet Corner (1882) demonstrate how Davis was among the many American artists to be influenced by the mid-nineteenth century French Realist painters who explored everyday landscapes, scenes, and characters in their work. Back home, many artists wanted to replicate what they experienced in Europe. They left their city studios to establish art colonies in places like Old Lyme where they found dense gatherings of artists in pleasant settings. William Chadwick, Clark Voorhees, Harry Hoffman and Will Howe, Edmund Greacen, and Reynolds Beal were part of a small circle of Lyme painters who spent winters in Bermuda. Voorhees is an example of how artists who flourished with the camaraderie and collegial atmosphere of the Lyme Art Colony began spending winters in Bermuda so that they could continue to paint outside en plein air during the cold months. Just as he did in Old Lyme, Voorhees found inspiration in the characteristic landscapes, seascapes, and architecture of Bermuda. 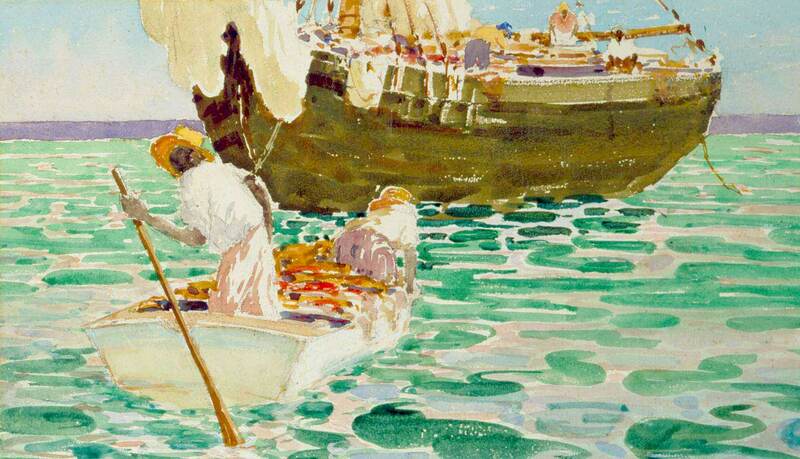 Many of his Caribbean pictures came to Old Lyme for exhibitions. In the 1930s, Voorhees helped to establish annual exhibitions for the painters working in Bermuda. 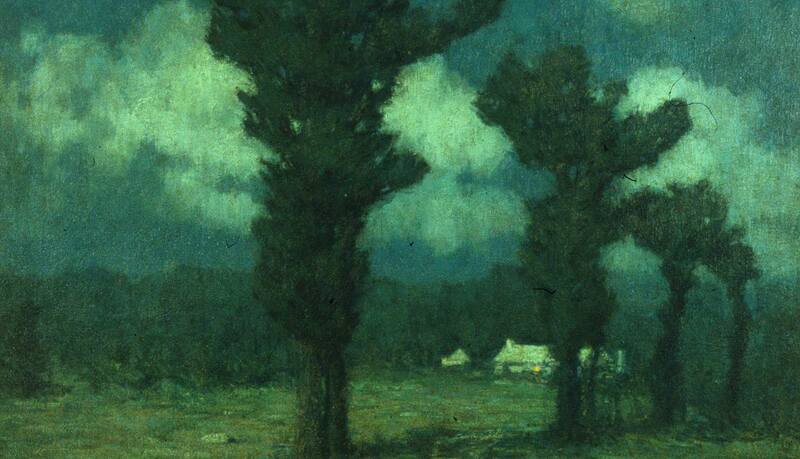 Capturing the delicate tonal variations of a colorful landscape muted by delicate moonlight, Landscape by Moonlight—Bermuda (after 1919) owes much to the style Voorhees developed in Connecticut. Expeditions to places as far-flung as the Zuni pueblo, the hills of Italy, and the warm waters of the Caribbean demonstrate artists’ perpetual quest for intriguing subject matter and varied landscapes to contrast with the familiar pastures and woods of Connecticut. 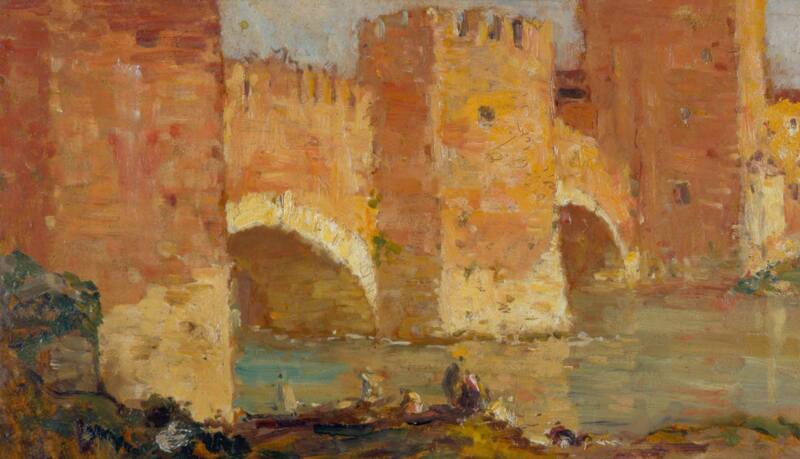 Lyme Artists Abroad brings together paintings, academic drawings, and sketchbooks that capture the sights, insights, and experiences Lyme artists gathered abroad, enriching their work at home.